Dental practices now have a new option when it comes to insuring their business. CoverDent is a totally new product backed by two of the UK’s largest insurers and offers a high level of cover for an extremely competitive price. Many practices shoulder the additional cost of a separate Surgery Machinery Breakdown Policy to cover the essential equipment needed to operate in a modern environment. The CoverDent Difference offers this cover as part of every policy as standard, reducing administration and more importantly, cost. All this for a low annual premium gives customers the best possible offering on the market today. 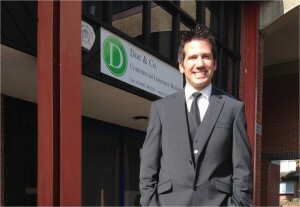 CoverDent was developed by Southampton-based independent brokers Doe and Co ltd. Managing Director, Matt Doe, identified the dental practice insurance sector as one which had not moved forward for many years and the change offered by CoverDent into modern and current insurance covers is evident. The CoverDent policy is only available directly. Call the team on 02380 222264.